Townsville has a robust and bumping nightlife, which I happily took no part in while there. I passed the overflowing bars and walked down the street to go to the town’s main movie theater to see Captain Marvel. I saw it on International Women’s Day, which felt fitting. Oh good Lord. Lighten up, Francis! I thought: He’d never last in an American movie-going experience. Interestingly – although not altogether unsurprising – all of the trailers before the movie were for American films. Not a single Aussie one. I ate my M&Ms and popcorn and Coke Zero. I like to have the sweet and salty mix, so sometimes I’ll make little sandwiches of M&Ms and popcorn kernels, placing the M&M daintily and precariously on top of the kernel, and then shovel it into my mouth. Would you like to hear more about this technique? No? I’m boring you? Are you bored yet? When we filed out of the theater, I made the 20-minute trek back to my hostel. The (rightful) implication in asking this question (“…nervous to…”) is, of course, there’s a greater risk of “something bad” happening, and that my level of vulnerability is increased by virtue of being alone. And, of course, I know bad things happen to men too while traveling; I can’t relate to that experience and the precautions men take when traveling alone, but I know that from my perspective, the threat feels starker as a woman. This both enrages me and makes me feel sad. And a final – also, happier and sweeter – note on traveling alone, I read this quote the other day and it made me simultaneously roll my eyes and also think, genuinely, Aw. The reason I added Townsville to my itinerary was because it’s where my cousin Chantelle grew up. At my cousin Andrew’s wedding in December, she told me all about it and Magnetic Island, where she and her family would go on sailing trips on weekends. I was dog-tired the day I arrived; I had planned to do Magnetic Island that afternoon, but forewent it in favor of seeing Captain Marvel. My cousin Chantelle used to live in Hollywood and worked at Disney for many years, so I think she’d be in support of this choice. I told her I would go, though (and I wanted to as well), so, bright and early the next morning, I took the 20-minute ferry to Magnetic Island. 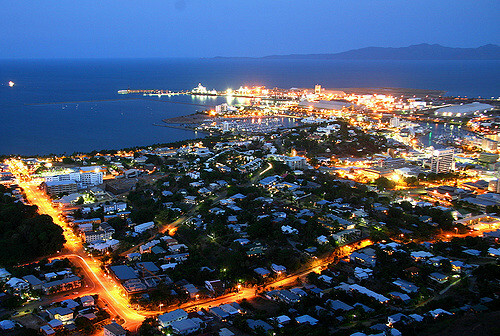 Fun fact: WikiLeaks co-founder, Julian Assange, lived the first years of his life on Magnetic Island in the 1970s. I took this picture on my hike in Magnetic Island. As I was doing take 3, 4, and 5 of the photo, something odd happened. They sped off to continue their search, and I wondered if they thought I looked like some kind of dog whisperer. Then I thought: Oh no, the secret’s out. Like a dummy, I didn’t bring any water with me. It was in the 90s that day. Hiking around, I felt like Cheryl Strayed in Wild. She hikes for months on the Pacific Crest Trail. I hiked for two hours then returned to the ferry and enjoyed a latte. I saw tons of lizards on Magnetic Island. During this whole trip, I’ve seen more lizards than I can shake a stick at. A stick, I tell you! So commonplace many once-unbelievable animals have become to me, that I could walk past a couple koalas and emus playing Black Jack together, being served martinis by lizards, and dealt their cards by bats and snakes, and I wouldn’t bat an eye. He’s the smallest lizard I’ve seen. Most are way bigger. “ID, please,” said the driver. I handed it to him. He took a look, then handed it back and looked at his list. My face fell. Up until now I had had zero transportation issues (and have also managed to uphold a reputation which I’m overly proud of: never having missed a mode of transit). Perhaps this is the day my perfect streak will be shattered, I thought, woefully. We both had a hearty chuckle, and I then tried to will my heart to stop racing. Later, I had to wonder if this bus driver had a firing wish. "Here we are in Airle BEACH! Not much to see here, really. One day and you're done. Beauuuutiful animals though. Got gorgeous sharks and alligators and stingrays here. Gorgeous creatures." You may thinking; “Don’t worry, I don’t foresee that as a career dilemma you will ever face. The buses were trying. But I sallied forth. My stay in Airlie Beach was a mere 14 hours. I did little but walk around town, check out the beach and the harbor, and catch a few Z’s. Along the east coast, I've been moving so rapidly from place to place now, usually only staying 1-2 nights, so as to make the full trek around the circumference, per my original intention / plan. (I’ve just left Newcastle, and I’m currently flying to Canberra. Then, onto New Zealand, then to Sydney. I’ve been so on the go that I'll often wake up and think: Which city am I in again? I had a rude awakening arriving in Rockhampton, where I’d budgeted an overly generous 4 days for my stay. On my Lonely Planet map, Rockhampton looked to be right on the coast. Beach time city, baby!! It was an inland town. I was – to my surprise and delight – greeted at the Rockhampton Greyhound bus stop by a staff member from the hostel where I was staying. Ozzie works at the hostel and has lived in Rockhampton for 13 years with his family. He has two daughters, age 5 and 7. And he’s one of the hardest-working people I’ve met here in Oz. He arrives at the hostel at 5am for a quick workout / swim in the pool, then cleans the kitchen, preps paperwork, greets guests, and during the day does the yard work maintenance, moves things around, etc., then leaves around 9pm. I am impressed by his hustle. Ozzie is from the Philippines. He also told me that Rockhampton is called “Rocky” by the locals. I loved hearing this, because it’s also the name of my roommate’s dog, who I – in a shock to myself and others – took fondly to, having previously had a decades-long apathy / sometimes-disdain for dogs. Ozzie told me about his visit to NYC in June 2001, when he backpacked across the U.S. with friends. “Really? Well, we off the Tube there with our backpacks and surfboards we looked SO out of place!” He laughed. In Rocky, I mostly read my books, pet the dogs at the hostel (Lucky and the other one, whose name I can’t remember). I did some research work for the PR firm, some writing for the Fat Tire Blog, and worked on my freelance writing projects. “Your shirt!” I looked down. I was wearing my “J’aime la vie” shirt. “Researching auto stuff,” I said vaguely. “I’ve spent the last 10 years cycling all over the world so I make less of an environmental footprint,” he said in an ever-so-slightly self-righteous way that left no room for doubt as to what he thought about my work, and my tangential corporate alignments. He went on about his bike, how much he hates cars, and how the world is falling apart. So, like, are we done here? Some of us have work to do and bills to pay. No shade to Rocky, but I was so happy to be leaving. The town was far too small and quiet for my liking. If I were a completely different person, I’m sure I’d love it, and love living there. Different strokes, different folks. I treated my stay in Rocky like a silent retreat. Apart from Ozzie and the car-hating-bike-nut, I barely said a word to anyone, save for the odd “please,” “thank you,” “do you sell Diet Coke here?” (“No? Okay…” …shuffles away miserably in need of caffeine). There was a pool at the hostel so I got to cool off a bit there, enjoy some poolside livin’, and read my book there. I was told by Ozzie that the Botanical Gardens in Rocky are beautiful. I thought of going. But then I thought: Well, I could enjoy wildlife and plants at the gardens…OR I could sit on the grass under this tree by the pool and have an equally nature-based experience. I’m currently reading a book called City of Girls by Elizabeth Gilbert. It comes out in June and I was grateful to have an advance copy sent to me for review/potential interview purposes. I’m really enjoying it. It’s a novel set in 1940s Manhattan and centers around showgirls of the era. I also got to FaceTime with my niece a bit from Rocky. She is the cutest, and I miss her greatly. My mom was babysitting her and let Cecilia try on her headlamp. Yes, my mom travels with a headlamp and sleeping bag at all times, regardless of where she is headed and regardless of length of time. I love this about her. And on this Australian adventure, you know what I packed? A sleeping bag and a headlamp. My headlamp, thoughtfully chosen by her in a pink hue, was a Christmas gift from mom. Speaking of missing things…I was hit with a bit of homesickness in Rocky. It was a brief bout –only about 36 hours. Settle in. YOU GOT THIS. Don’t think too much of what’s ahead or how long you have to go – just focus on this mile. Or, in this case here, this town. If you panic and fall victim to emotion, you won’t finish the race!!! Back to the homesickness – I was glad Grace said that. It put things into perspective. ….except for not checking into the hostel sooner so I could nab a bottom bunk. Blimey, I pray I do not fall out of this thing. Next, I’m flying from Rockhampton to Brisbane to see my friend Annie. I’ll be staying with Annie and her husband, James. Annie and I went to high school together at Nerinx in St. Louis. I have fun memories of our friends hanging out at the park during summer. (We went to the park with a strange level of frequency.) I’m excited to see her. I’m hoping to get to visit the Gallery of Modern Art there as well. In Brisbane, I'll also be seeing my mom's Australian friend, Angela, who lives there. They met when they both worked at the Catholic Worker house together in Philadelphia. Angela knew me as a wee tike, back when I was really obsessed with the movie Wizard of Oz, and when I had a grotesquely bad skin rash (I was in a medical textbook for it!). In other career news, an editor at the BBC is interested in one of my story pitches. I just finished up doing some research for it. It is unconfirmed as to whether or not the BBC wishes to proceed with the story, but the idea of it is exciting. As I kid, I had it on my (vaguely titled) “life list” to “work at/with the BBC.” At the time, I wanted to work in TV production and either be a producer there or maybe write a comedy TV show. This feels like a good – and self-manifested! – step to working with the BBC. Another (fairly obscure) career-related thing… a lot of my favorite writers have popped up in my dreams over the past month. In Airlie Beach: it was Roxane Gay. In Bali: Elizabeth Gilbert (fitting). In Adelaide: J.K. Rowling (probably because of my tour guide’s connection to her, and hearing him talk about her). In Vietnam, I had a dream that Lin-Manuel Miranda and my brother Kevin both took me to coffee at Panera Bread and told me they were proud of me. It was strange and wonderful. Neil Gaiman and David Sedaris have yet to make their appearances, but no doubt, they’re around a cloud-filled corner. I think that whenever I see an author I love: Where are the raging mobs of fans?! P.P.S. Pop singer Robyn played at MSG (Madison Square Garden) in NYC recently. Seeing this post-concert clip only exacerbated my homesickness when I was in the throws of it in Rocky. 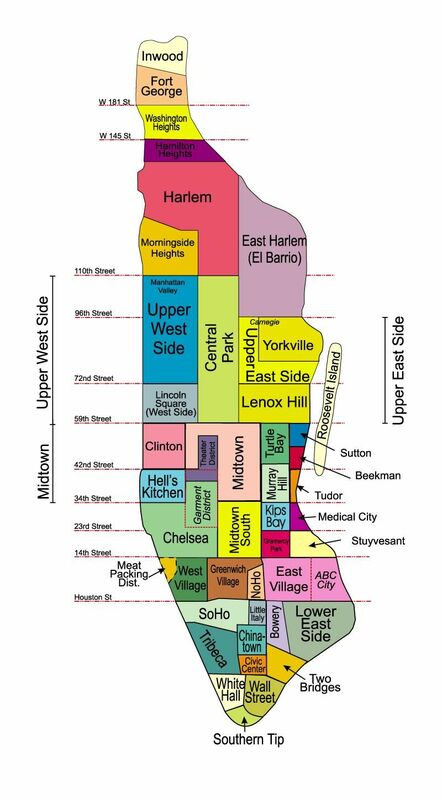 There really is no place like NYC. The clip, posted to Twitter, is linked here. It shows a mass of people singing a Robyn song ("Dancing on my Own") on the subway platform waiting for the E train. It's worth a little watch.